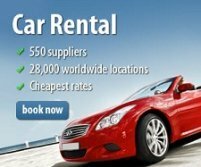 Cape Town Birding - Cape Town is blessed with 57 of the Southern Africa's endemic species and 32 of the near endemic species. I have only added a selection of birding spots, but any open space will surprise you with both the quality and quantity of sightings. 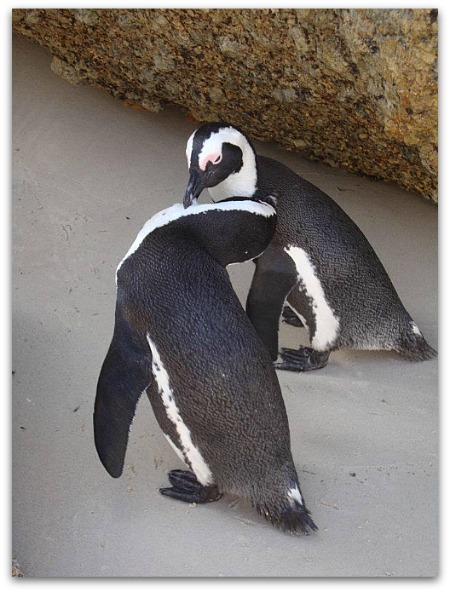 One of only two places in South Africa where the African Penguin breed on the mainland. A wooden walkway takes you to the beach where penguins in all stages of their breeding cycle can be viewed from close quarters. Together with the numerous endemic species, the reserve also offers some of the best land based seabird watching in the world. The fynbos holds a number of species including Bishop, Bokmakierie and Cape Grassbird. Check the larger flowering plants for Orange-breasted Sunbird, Southern Double-collared Sunbird, Malachite Sunbird and Cape Sugarbird. The best seawatching vantage points are on the cliffs near the Cape Point car park. Birds seen frequently include Shy Albatross, Atlantic Yellow-nosed Albatross, White-chinned Petrel and Great-winged Petrel. Albatrosses, petrels and other oceanic wanderers to within close reach of our shores. The plentiful scraps and off casts as a result of the processing deep sea fish provide an easier source of food for these foraging birds. 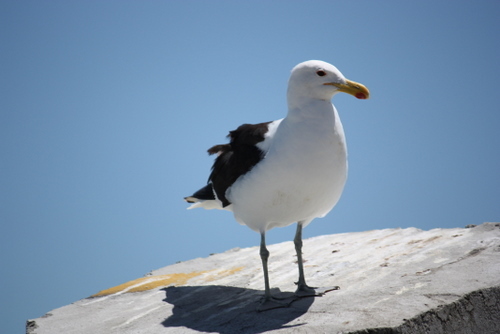 It is not unusual to find in excess of 5000 pelagic seabirds in the wake of an active trawler. 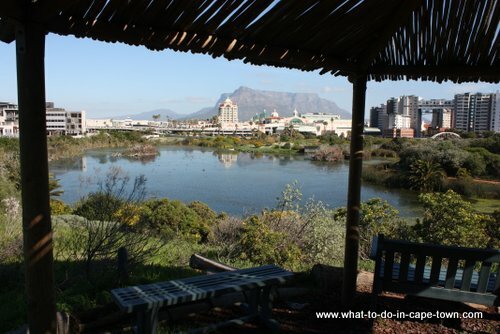 Intaka Island is a 16 hectare wetlands and bird sanctuary situated in the centre of Century City, a mere 15 minute drive from the city centre. The man-made island boasts 7 habitats in the wetlands where up to 70 of the 120 bird species can be seen regularly. Kirstenbosch remains the best spot close to Cape Town to see some of the more common mountain fynbos and forest endemics. The mountain fynbos endemics, Cape Sugarbird and Orange-breasted Sunbird, are prolific in the cultivated protea and erica patches in the south western corner of the gardens. Situated on the western side of the Cape Peninsula, Kommetjie is a well-known spot to find a variety of coastal species. 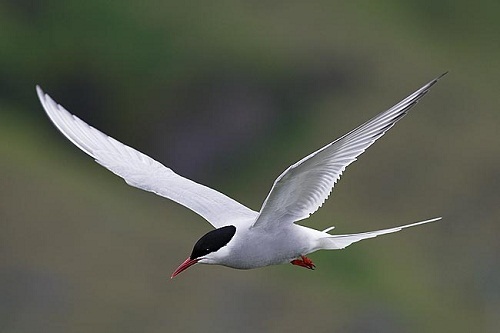 The rocky coast hosts all four cormorant species and a variety of migratory tern species including the Antarctic Tern. Rietvlei is a freshwater wetland ensuring that both freshwater and coastal birds are regularly seen. The most rewarding viewing seasons are spring and summer when large numbers of migrant waders are present. The bird hide is perfectly positioned for the best viewing of small migrant waders. 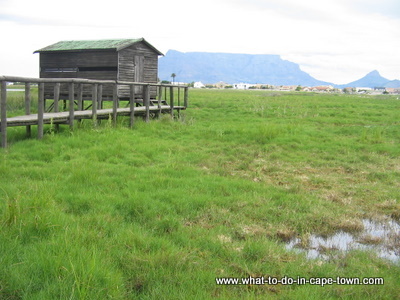 Rondevlei provides a wonderful representation of a Cape Flats wetland. There is always a diversity of duck, heron, egret and grebe present plus African Spoonbill, Great White Pelican and African Darter. 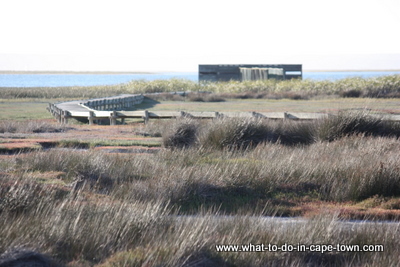 It is the best spot close to Cape Town to see the delightful Malachite Kingfisher and, when the water levels drop in Autumn, spectacular views of African Snipe. 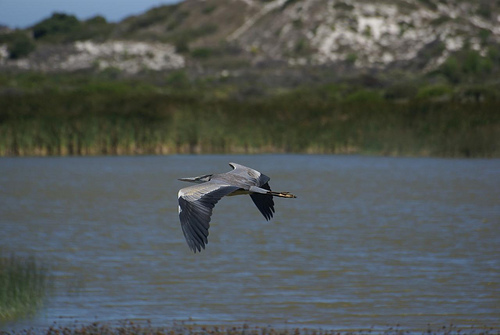 The Strandfontein Sewage Works is the best waterbird locality close to Cape Town. A good variety of waterbirds inhabit the pans, among them Greater Flamingo, South African Shelduck and Maccoa Duck. The coastal pans, adjacent to Baden-Powell Drive, usually have small numbers of African Black Oystercatcher, and there is a vast roost of Cape Cormorant, sometimes numbering in the tens of thousands. Situated on eastern slopes of Table Mountain, Tokai is an excellent raptor-watching site and a summer morning's visit will not disappoint the dedicated raptorphile. 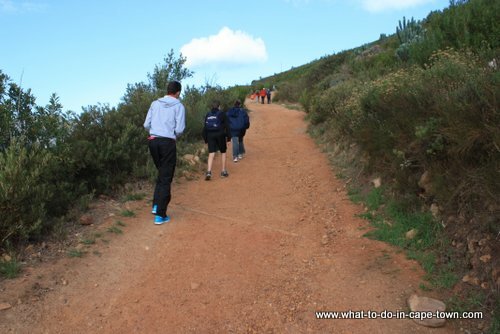 Within the Cape Peninsula, Tokai plantation is synonymous with the presence of European Honey-Buzzard, and it is also one of the easiest spots to observe Common Chaffinch. The park surrounds the Langebaan Lagoon, which is a world Ramsar site - sites deemed to be of global significance to wetland bird species. Many of the wader species are Palearctic migrants, so summer is the best time to visit the lagoon, particularly in September as species return fatigued from their transcontinental travel, and March when they congregate in large numbers to feed heavily prior to undertaking the reverse journey. Jy kan regtig by enige oop ruimte verras word, met beide die hoeveelheid sowel as die verskeidenheid voëls! My gunsteling voël? 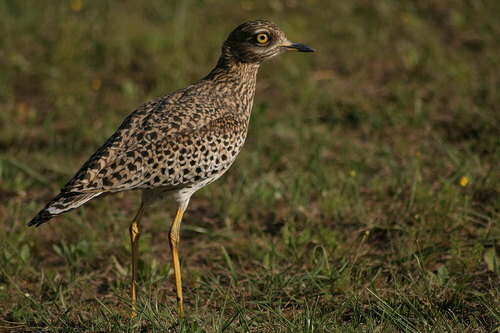 Ek is nou nog nie so kenner dat ek die Latynse name kan aframmel nie, maar ek geniet dit om die Dikkop en die Swartrugmeeu dop te hou. Maar miskien moet ek 'n beter verkyker kry sodat ek die Janfrederik beter kan sien! You do not have to extremely fit. 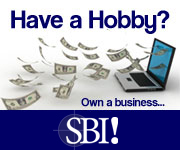 You can do it in minutes, rather than hours. 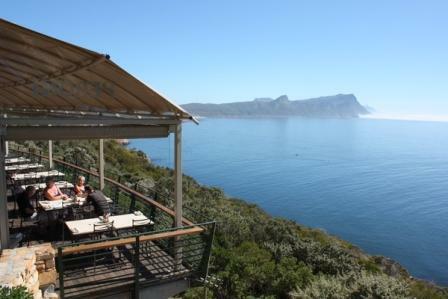 You experience the sight and smells of Cape Town at a leisurely pace. Many of the walks are in one of the many reserves and botanical gardens. Return from the Cape Town Birding page to homepage.